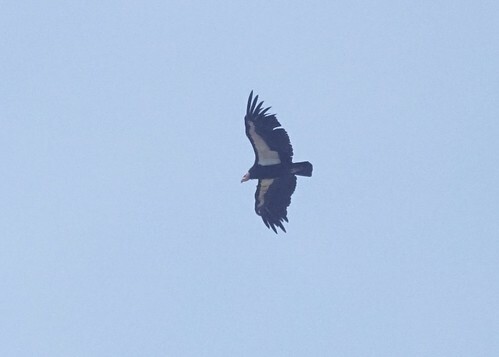 We booked a trip to Big Sur to look for California condors. 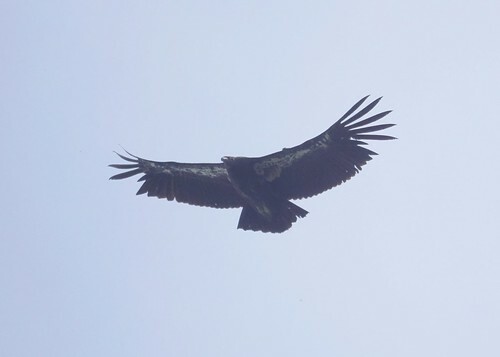 We stayed at the Ventana Inn and the first afternoon we saw one flying overhead while sitting out on our balcony. Two days later, we went out with the Ventana Wildlife Society and after some time, Chris spotted three flying high overhead.